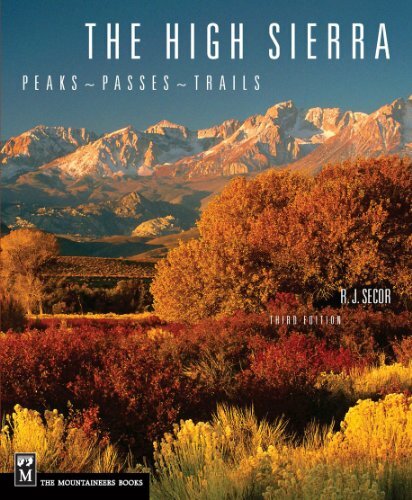 **Please note we have a few edits and updates for THE HIGH SIERRA: Peaks, Passes, Trails, 3rd Ed. 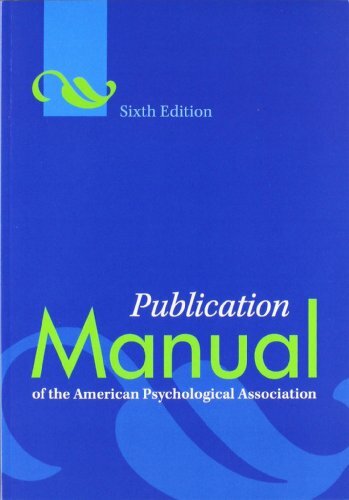 Please download the edits HERE so your copy reflects the appropriate changes and additions. Thank you. 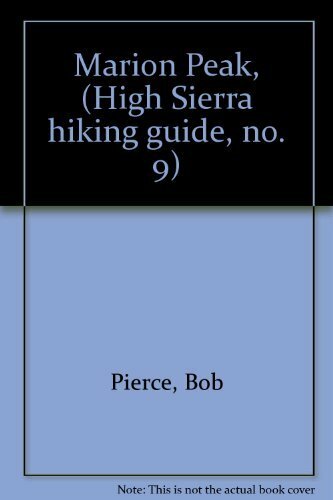 **"The Sierra climbing bible" - The Los Angeles Times "The best field guide to the region." 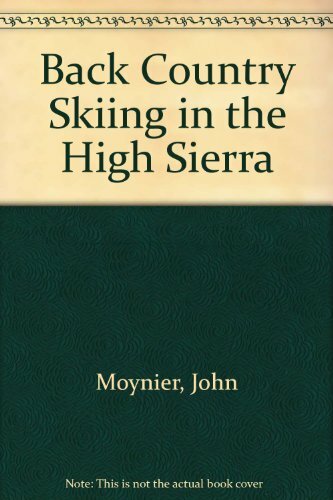 - Men's Journal "The guide to the Sierra Nevada high country." - Climbing magazine* More than 100 new routes, route variations, and winter ascents in this edition compared to the previous* User friendly organization* Author has made more than 350 ascents in the SierraHigh Sierra is the most popular guidebook to this magnificent mountain range, and has long been the definitive source of climbing and hiking information for this wonderland. This comprehensive and exhaustive guidebook includes route descriptions, historical information, and GPS-enabled driving directions. This edition rearranged the information to keep roads and trails, and passes and peaks together, making the book easier to use. 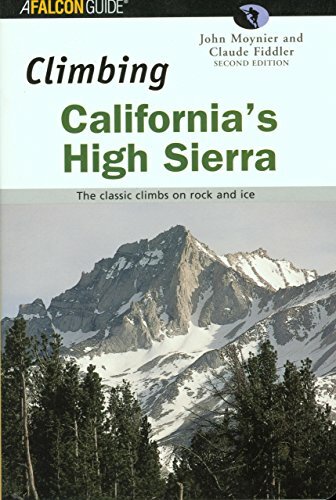 * Author conceived and pioneered the Sierra High Route* Covers Kings Canyon National Park to northern Yosemite National Park* Each route chapter includes points of interest, maps, approach instructions, and directions No ordinary guidebook, Sierra High Route leads you from point to point through a spectacular 195-mile timberline route in California's High Sierra. 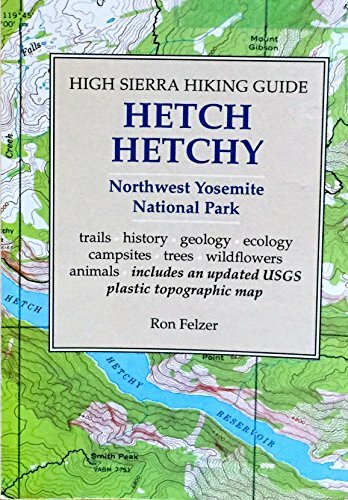 The route follows a general direction but no particular trail, thus causing little or no impact and allowing hikers to experience the beautiful sub-alpine region of the High Sierra in a unique way.With access points noted along the way, the route can be broken into week-long segments, and hikers can choose segments for their skill level. Each of the five route chapters includes an overview highlighting geographical and historical points of interest, maps, difficulty ratings, approach instructions, safety considerations, directions, alternate routes, and accessible non-technical climbs. Shoot perfect photos of landscapes, places, and people with pointers from a renowned photographer. 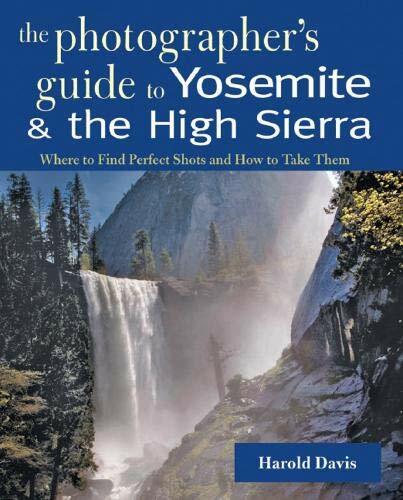 This authoritative yet easy-to-follow book shows both digital and film photography enthusiasts how to take postcard-perfect shots of one of the nation's most visually stunning areas. Whether you're a pro looking for new insights or a novice wanting to ensure your vacation looks as spectacular on film as it did with your own eyes, this book is invaluable. With b&w photos by Tom Ross, Ansel Adams, and others. 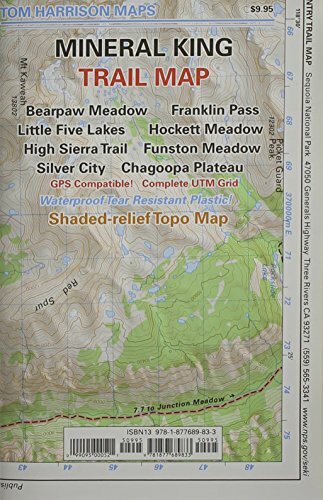 Includes all manner of information for hiking and mountaineering, with sketches of summit routes and maps. Indexed. 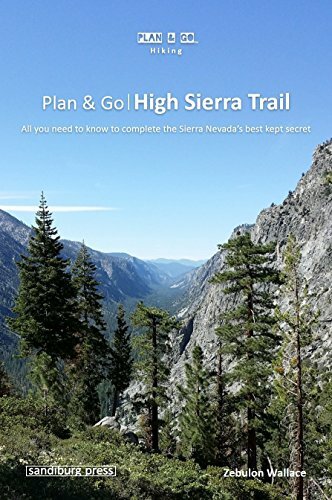 California's Best High Country Climbs!The Sierra Nevada is a vast mountain range composed of numerous soaring granite peaks, forming the tallest range in the contiguous United States. 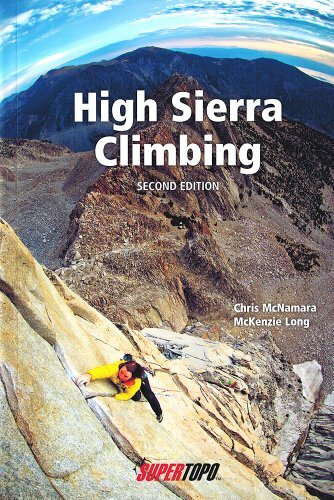 With extensive canyons, drainages, glaciers, lakes and meadows, the High Sierra beauty is breathtaking and playground for alpine climbers.This second edition of High Sierra Climbs documents over 40 of the best climbing routes, including the classic ones, adventurous ridge traverses and popular alpine and snow climbing.Fourteen brand new routes.complete with topos, diagrams, and descriptions to enhance your climbing experience. 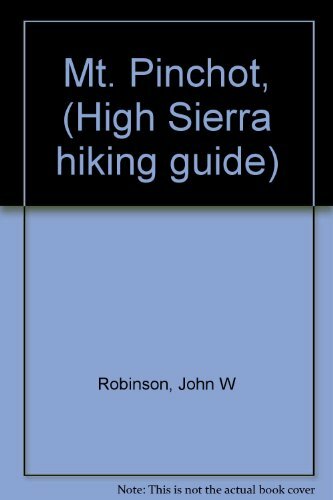 Marion Peak, (High Sierra hiking guide, no. 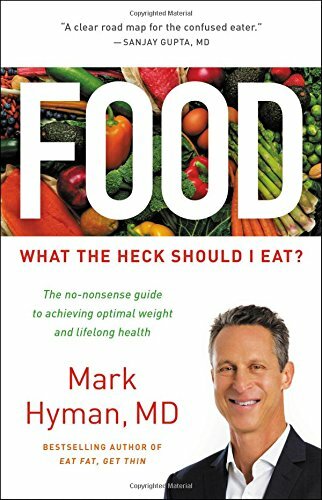 We've all been there before, staring at a computer screen with no idea what to do -- and now there's another update that's just come out. 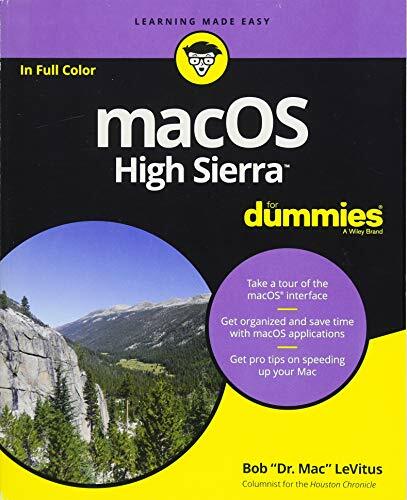 Whatever the Mac-related task -- and whatever your technical ability -- Fundamentals of MacOS is here to help.In this guide, Kevin walks you through Apple's flagship operating system one step at a time. 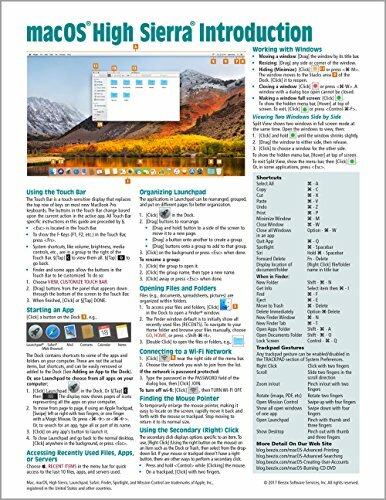 Great for seniors, beginners, enthusiasts, students and the ordinary everyday computer user. 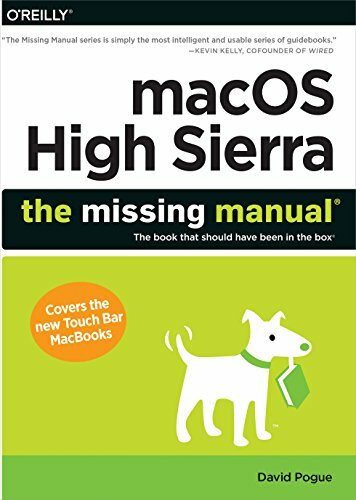 Packed full of tutorials, illustrations and photographs to help you, we'll go through downloading and upgrading to High Sierra; setting up your Mac for the first time; navigating around your mac with the Dock, Finder, Dashboard, Spotlight, and LaunchPad; using touch gestures on the trackpad, magic mouse, as well as some useful keyboard shortcuts. We'll try out Handoff, MailDrop, Messages, Universal Clipboard, Auto Unlock, and Apple Pay. We'll get to know Siri and see how she can help. We'll also take a look at security considerations, guarding against malware, and backing with Time Machine. We'll explore the AppStore, iBooks, Maps, iTunes, Photos, as well as take a look at Apple Music. We'll also create some photo albums, slideshows, photo books, greetings cards calendars using the Photos App.And a lot more. 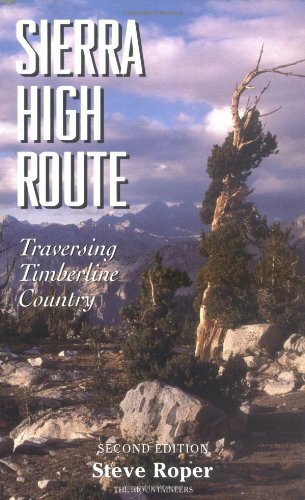 In addition to detailed route descriptions, topos, and route ratings, the book offers a history of climbing in the region. 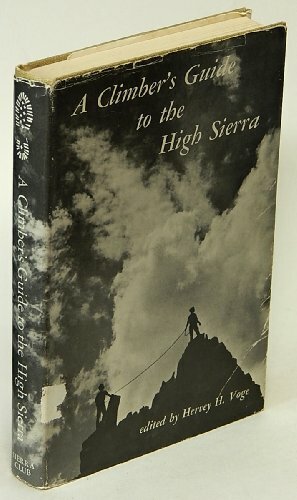 A must-have for California climbers and for any climber traveling to the Sierra. 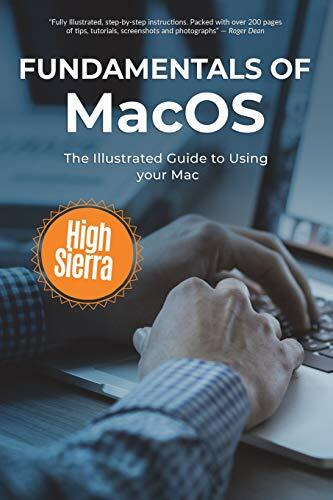 Compare prices on High Sierra Guide at LiveSaler.com – use promo codes and coupons for best offers and deals. We work hard to get you amazing deals and collect all avail hot offers online and represent it in one place for the customers. Now our visitors can leverage benefits of big brands and heavy discounts available for that day and for famous brands. We try to makes comparison shopping easy with Product Reviews, Merchant Ratings, Deal Alerts & Coupons. Find Deals, Compare Prices, Read Reviews & Save Money.